Veteran cornerback Jamar Taylor is visiting with the Seahawks today, per Mike Garafolo of the NFL Network (via Twitter). After losing former slot corner Justin Coleman to the Lions, Seattle is looking for reinforcements in the secondary. Taylor, a 2013 second-round pick, spent the first three seasons of his career with the Dolphins before being dealt to the Browns. He was productive during his two seasons with Cleveland, including a 2016 campaign where he had three interceptions and 13 passes defended. He finished the 2017 season having appeared in a career-high 16 games and finishing with a career-high 62 tackles. Last May, the Browns traded him to the Cardinals, who hoped to deploy him as their No. 2 CB opposite Patrick Peterson. Taylor agreed to a significant pay cut to facilitate the trade, but things did not go well for him in the desert. Arizona cut him in November, and he caught on with the Broncos to finish out the 2018 season. Still just 28, Taylor provides experience and can be a solid contributor in a CB rotation. In other Seahawks news, Ian Rapoport of NFL.com tweets that safety Taylor Mays, whose last NFL action came in 2015, will work out with the team tomorrow. Mays a former USC Trojan, could be reunited with Pete Carroll, who was USC’s head coach during Mays’ collegiate career. The Broncos are signing cornerback Jamar Taylor, a source tells Mike Garafolo of NFL.com (on Twitter). 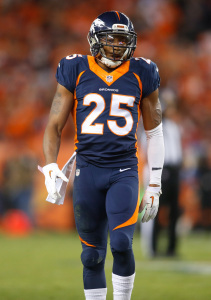 He’ll help fill the void for Denver while Chris Harris recovers from a broken leg. The former Dolphins and Browns corner was released by the Cardinals in November after he failed to solidify himself as a proper counterpart to star Patrick Peterson. He’s now on to team No. 4 in a career that has seen him traded twice — from Miami to Cleveland in 2016 and from Cleveland to Arizona earlier this year. With the Broncos, Taylor figures to get involved in the rotation behind Bradley Roby and Tramaine Brock. Recent third-round picks Isaac Yiadom and Brendan Langley are also on hand and safety Justin Simmons may continue to see snaps at slot cornerback. Ideally, the Broncos would probably prefer to keep Simmons at his native spot while occasionally using Taylor as the third corner. The Broncos’ playoff hopes are still alive at 6-6 and they have a mostly plum schedule to finish out the year. The Broncos will take on the 49ers, Browns, and Raiders in the next three games before closing the season against the red-hot Chargers. Jamar Taylor‘s time with the Cardinals did not last an entire season, but another team’s situation at cornerback may allow for the veteran defender to return to action soon. The Broncos will host Taylor on a visit soon, with Ian Rapoport of NFL.com reporting (via Twitter) the former Dolphins, Browns and Cardinals corner is en route to Denver now. A signing could be imminent, Rapoport notes. The Broncos will sign Taylor if he passes their physical, Mike Klis of 9News tweets. Vance Joseph said earlier on Monday (via ESPN.com’s Jeff Legwold) the Broncos were not planning to sign a cornerback, but their corner room may indeed become crowded. Chris Harris‘ fractured fibula, interestingly, will now prompt the the Broncos to place him on IR. The hope is that the All-Pro slot stopper can return this season, Joseph said, calling him week-to-week. Harris is not expected to need surgery, with Joseph calling the injury the eighth-year veteran sustained Sunday a “small break.” Harris’ return goal appears to be a potential playoff game. That’s not out of the question for the Broncos, but Sunday marked their first extensive action without Harris since he tore an ACL in the 2013 playoffs. While Harris grades as Pro Football Focus’ No. 5 corner, the rest of Denver’s corners have struggled this season, leading to the team exploring an emergency Taylor add. A 2013 third-round pick, Taylor has been traded twice — from Miami to Cleveland in 2016 and from Cleveland to Arizona earlier this year — and has played well in spurts. After a failed bid to commandeer a Dolphins starting job, Taylor did start 29 games for the Browns from 2016-17. That work led to a Cleveland extension. However, Taylor became one of the several Cardinals who could not lock down the starting job opposite Patrick Peterson, and Arizona cut him last month. Bradley Roby, Tramaine Brock and recent third-round picks Isaac Yiadom and Brendan Langley comprise the Broncos’ corner contingent. Safety Justin Simmons also saw slot coverage work Sunday in Cincinnati. Taylor has manned the slot at times during his career. Jamar Taylor‘s tenure with the Cardinals has come to an end. NFL Network’s Mike Garafolo reports (via Twitter) that the organization is releasing the veteran cornerback. Taylor will be subject to waivers. The 2013 second-round pick spent the first three seasons of his career with the Dolphins before being dealt to the Browns. 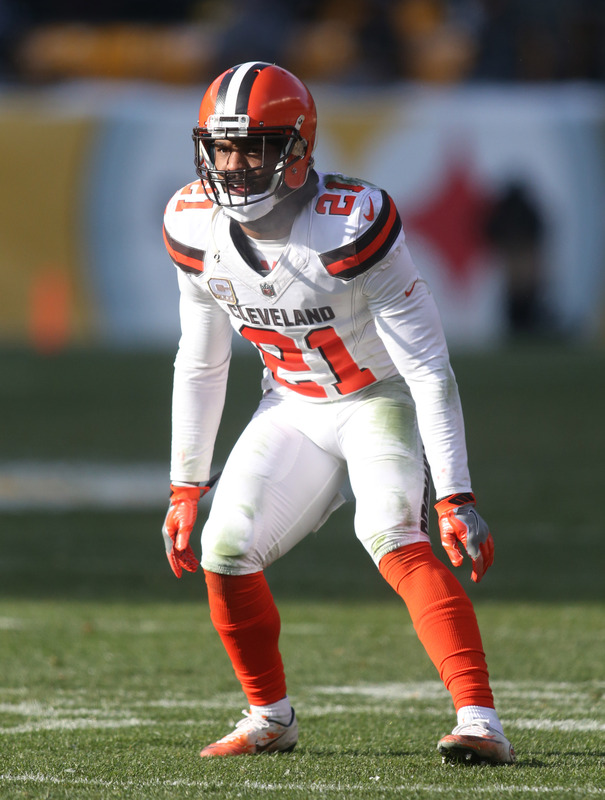 Taylor ended up being productive during his two seasons with Cleveland, including a 2016 campaign where he had three interceptions and 13 passes defended. He finished the 2017 season having appeared in a career-high 16 games and finishing with a career-high 62 tackles. The Browns shook up their cornerback corps this past offseason, signing free agents T.J. Carrie and E.J. Gaines and drafting Denzel Ward in the first round. Cleveland ended up trading Taylor to Arizona in exchange for a 2020 sixth-round pick. The cornerback saw a reduced role with the Cardinals, and he finished his tenure having collected 17 tackles and one pass defended in 10 games (three starts). This move will leave the Cardinals with four healthy cornerbacks on their roster: Patrick Peterson, Brandon Williams, Bene Benwikere, and Leonard Johnson. Sam Bradford is slated to be the Cardinals‘ starting quarterback..for now. Between now and September, rookie Josh Rosen could very well beat him out for the top job, coach Steve Wilks says. So far, Bradford is healthy “and when he’s healthy, he’s great,” Wilks said. Still, Wilks believes in competition and is not ready to hand him the job here in May. Meanwhile, Wilks acknowledges that new Cardinals cornerback Jamar Taylor is the leading candidate to start opposite of Patrick Peterson (via The Associated Press). For his part, Taylor says he’s excited about the opportunity. “It’s just more plays for whoever’s over there,” Taylor said. “More plays, that’s how you’ve got to look at it. More opportunities for you to get picks. When I went to Cleveland, I played opposite Joe Haden. That meant more plays that year. I made a lot of plays on the ball. Playing opposite from a guy like Pat, it’s a huge deal, you’ve got to hold your own.” Taylor must be enthused about the opportunity after accepting a drastic pay cut to facilitate the trade with the Browns. The 49ers have a glut of inside linebackers after building a contingency plan for Reuben Foster, Eric Branch of the San Francisco Chronicle writes. The Niners will still have use for Brock Coyle, free agent pickup Korey Toomer, and third-round pick Fred Warner this year, but the numbers game could affect former Super Bowl MVP Malcolm Smith. The 28-year-old joined the Niners on a five-year, $26.5MM contract last year, but his deal doesn’t include any guaranteed money in 2019. After that, the final two seasons on his pact are option years. Rams defensive end Morgan Fox suffered a torn ACL that will keep him off of the field in 2018. 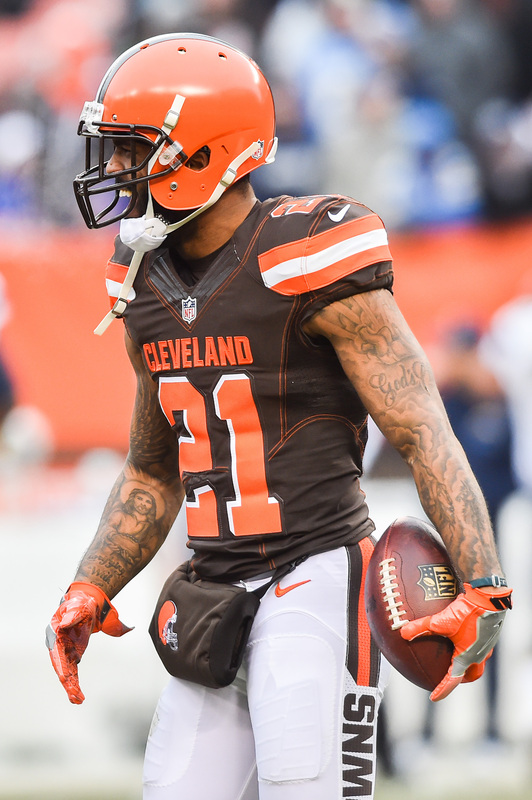 Last week, the Cardinals acquired cornerback Jamar Taylor from the Browns. In order to facilitate the deal, Taylor agreed to a restructured contract. It turns out that Taylor has taken a significant pay cut in order to play opposite of Patrick Peterson. Taylor’s base salary will drop from $4.25M to $975K under the terms of his revised deal, Field Yates of ESPN.com tweets. His overall cap number has decreased by $2.75M thanks to the adjustment. That marks a substantial hair cut for Taylor, especially when considering that he signed his three-year, $15MM extension less than a year-and-a-half ago. However, Taylor was unlikely to make the Browns’ final cut after the additions of T.J. Carrie, E.J. Gaines, Terrance Mitchell, and No. 4 overall pick Denzel Ward this offseason. Faced with the prospect of hitting free agency in the summer when teams have already set their CB plans or taking less money to (likely) start in Arizona, Taylor went with the latter. It’s not immediately clear whether the 2019 portion of Taylor’s deal has also been tweaked. Assuming the ’19 season remains untouched, he remains on course to earn a base salary of $4.075MM with a $5.1MM cap number. However, the Cardinals would be left with just $750K if they were to release him under those terms. In 2016, Taylor ranked as one of the 20 best corners in the NFL, per Pro Football Focus’ advanced metrics. He took a step back last year, but the Cardinals are optimistic that he can revert to his old form. Even if he performs somewhere in between, that’s still preferable to the team’s other CB2 options, which include Brandon Williams, Bene Benwikere, and Marcus Williams. The Cardinals are finalizing a trade for Browns cornerback Jamar Taylor, sources tell Ian Rapoport of NFL.com (on Twitter). The Cardinals have long had a glaring need at cornerback and Taylor figures to step in as the team’s new No. 2 CB alongside Patrick Peterson. Arizona will send a 2020 sixth-round pick to Cleveland in the deal, according to Nate Ulrich of the Beacon-Journal (on Twitter). The deal is expected to be finalized after 4pm ET/3pm CT on Friday. The belief before the draft was that the Browns would look to unload Taylor if they selected a cornerback early on. After the Browns selected Ohio State’s Denzel Ward with the No. 4 overall pick, his fate was all but sealed. The Browns have moved on from both of their starting cornerbacks from last year after trading Jason McCourty to the Patriots for a late draft pick. The Browns’ revamped secondary will see free agent pickup T.J. Carrie start opposite of Ward with newcomers E.J. Gaines and Terrance Mitchell among those in support at cornerback. Taylor had the best year of his career in 2016 as he hauled in three interceptions and 57 total tackles, but he was not quite as sharp in 2017. If he can revert to his old form, then the Cardinals will be getting a quality starter in the trade. In ’16, Taylor ranked as Pro Football Focus’ No. 19 ranked overall cornerback in the NFL and excelled in the slot, where he played 32% of his snaps. The acquisition of Taylor could impact the Cardinals’ pursuit of free agent Bashaud Breeland. Then again, the Cardinals have signed the majority of their draft class and they still have upwards of $16MM in cap room, so there could be room for both players. Theoretically, Breeland could be signed to start at outside corner while Taylor mans the slot with occasional snaps on the outside. Taylor restructured his contract in order to make a trade more palatable for the Cardinals, Rapoport hears (Twitter link), so there should still be plenty of breathing room for GM Steve Keim & Co. Originally, Taylor was slated to take up $5.25MM in cap space this year and $5.1MM in 2019. The revised terms of his deal are not yet known. The Cardinals’ release of Tyrann Mathieu left them with a glaring need for slot help this offseason. The acquisitions of cornerbacks Bene Benwikere, Marcus Williams, Louis Young, and sixth-round pick Chris Campbell may provide depth, but that leaves much to be desired in Arizona’s secondary. If the Browns take a cornerback early, cornerback Jamar Taylor is expected to be made available via trade, Ian Rapoport of NFL.com (Twitter link) hears. The Browns added three free agent cornerbacks this year and drafting one in the first or second round would likely squeeze Taylor out of the picture. Taylor, 28 in September, is set to enter the second year of his three-year, $15MM deal. The former second-round pick had the best year of his career in 2016 as he hauled in three interceptions and 57 total tackles, but he took a step back in 2017. New GM John Dorsey traded Jason McCourty to the Patriots for a late draft pick after a strong showing in ’17, so there’s little question that the Browns would be open to moving on from Taylor. Already, Taylor sits no higher than third on the Browns’ CB depth chart after the signings of T.J. Carrie and E.J. Gaines. Meanwhile, newcomers Terrance Mitchell and Denzel Rice will push for time in support.